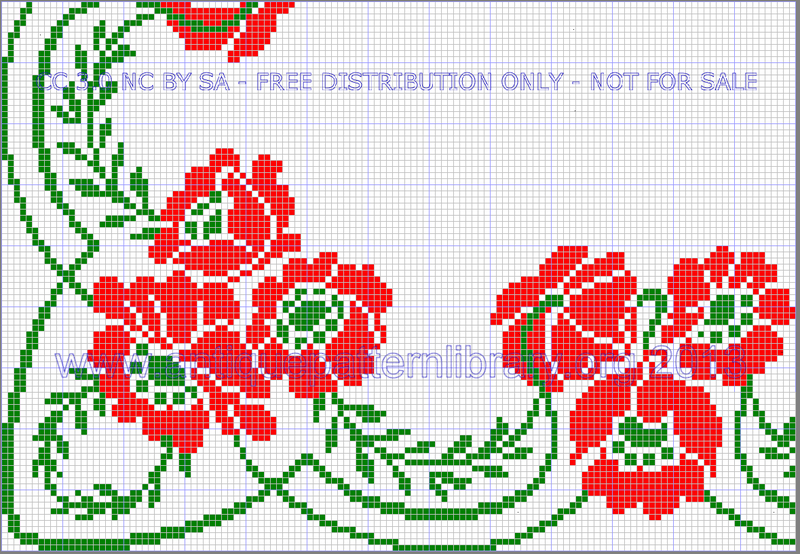 Single sheet charted pattern for an Art Nouveau style border of poppies in red and green, probably intended for tea or tablecloth. Includes corner and side repeats. Suitable for cross-stitch. Probably hand-painted.